Azerbaijan and Russia continue to strengthen bilateral relations, as also evidenced by quite frequent meetings between presidents Ilham Aliyev and Vladimir Putin in a short period of time, the expert of the Center for Post-Soviet Studies of the Primakov Institute of World Economy and International Relations of the Russian Academy of Sciences, Russian political scientist Farhad Ibrahimov told Trend. He noted that the leaders of the two countries have held three meetings in just three months, each of which has been held in a positive way and has had positive results for both Azerbaijan and Russia. "Russia and Azerbaijan have the potential for closer cooperation, which is why presidents Ilham Aliyev and Vladimir Putin expressed a desire to increase the trade turnover between the two countries to $10 billion. Moreover, the key areas of cooperation are not only transport, economic and energy spheres, but also military-technical and humanitarian ones. Azerbaijan has purchased weapons from Russia worth just over $5 billion," he said. "The Azerbaijani head of state stressed that Azerbaijan continues the modernization of the Armed forces, and Russia is the most important manufacturer and supplier of military products. This suggests that Baku is interested in developing relations with Moscow in this direction, which is especially important in the context of the difficult geopolitical situation in the region," Ibrahimov said. He believes that the personal warm relations that exist between presidents Vladimir Putin and Ilham Aliyev also contribute to stability and security in the region. "Today, Azerbaijan is one of the safest and most stable states not only in the Caucasus, but also in the CIS and the Greater Middle East. Azerbaijan is a state that really has its principled foreign policy position and does not succumb to pressure, which is also important. Of course, Moscow knows and appreciates this, so relations with Baku will continue to strengthen in several areas at the same time," the expert said. 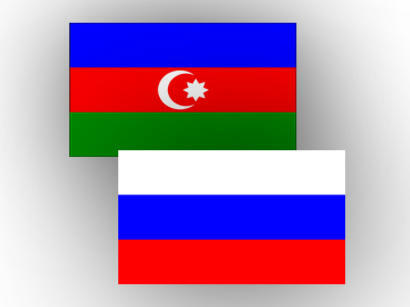 Ibrahimov drew attention to the fact that at the meeting of the two heads of state, the issue of the Armenian-Azerbaijani Nagorno-Karabakh conflict, which is crucial for Azerbaijan, was not bypassed, and Russia continues to be a mediator in the issue. The President of Azerbaijan Ilham Aliyev visited Sochi on September 1, where he met with Russian President Vladimir Putin. During the visit, the parties signed 15 documents that cover the issues of Azerbaijani-Russian cooperation in such areas as energy, economy, sports, tourism and others.